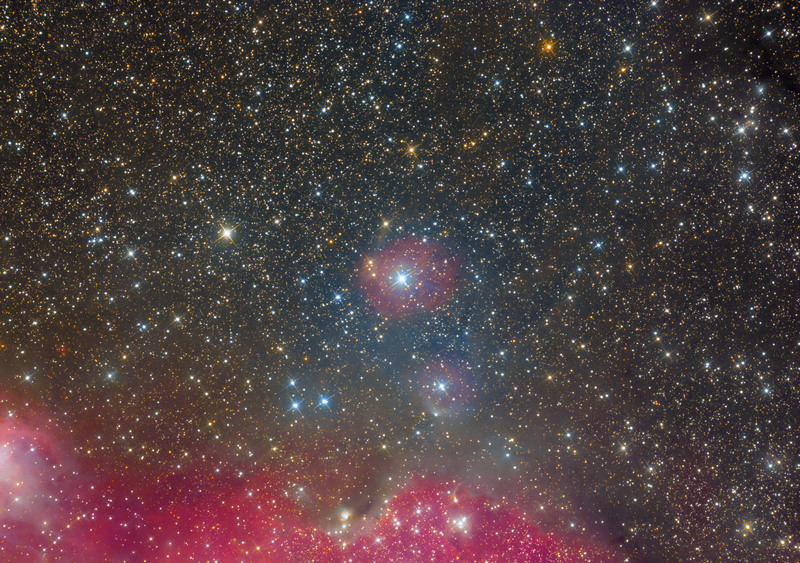 Centered on Vdb 88, this image contains also the reflection nebulae Vdb89, VdB 90,VdB 91,VdB 92 and VdB 93 (see the annotated mouseover). It overlaps very much with this image, showing also Vdb 94 and VdB 95. A mosaic from this two and other three images can be seen just below this text. VdB 88 is located on the southwestern edge of the Seagull Nebula, an H II region in which occurs phenomena of star formation. The nebula surrounds and receives light and ultraviolet radiation from the blue-white star of the main sequence HD 52721. Its spectral class is B2V, with strong emission lines. 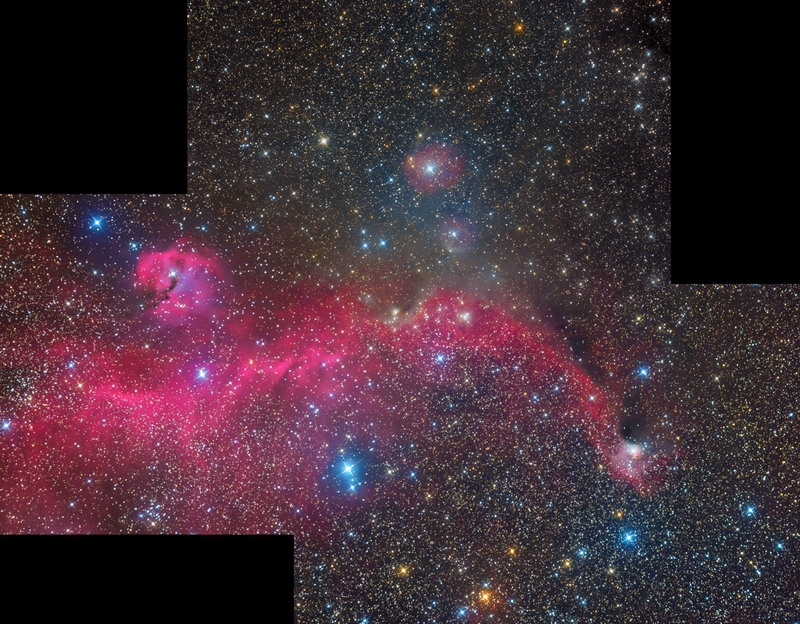 The distance, determined by measuring the parallax of 1.10 mas, is about 909 parsecs (about 2960 light-years), the same distance of the Seagull Nebula, with which, therefore, VdB 88 is physically linked. Thus this nebula appears to be linked also with the OB association OB1 Canis Major, located at a distance of just over 900 parsecs. The nebula has a spherical appearance and completely surrounds the illuminating star; it is apparently associated also with a small region of ionized gas, with reddish color. It is part of the same gas system of the nearby cloud vdB 90.